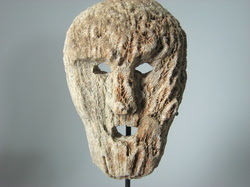 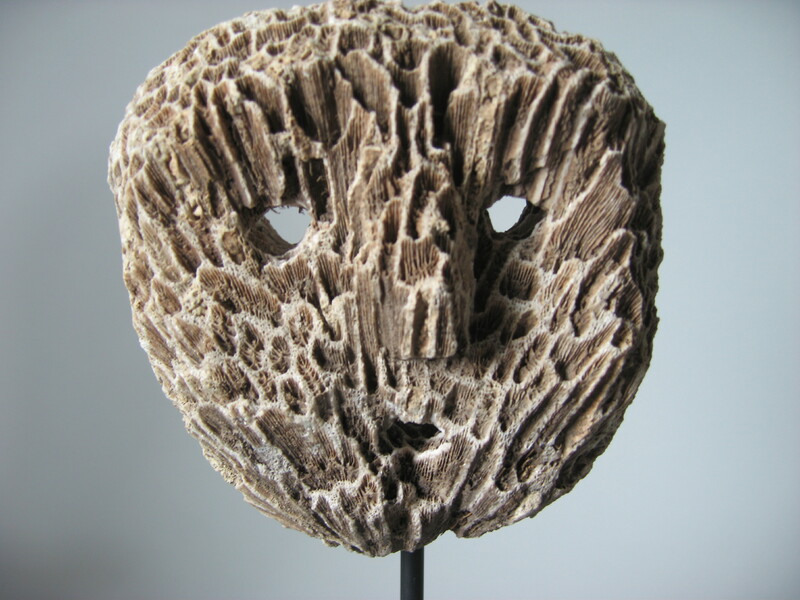 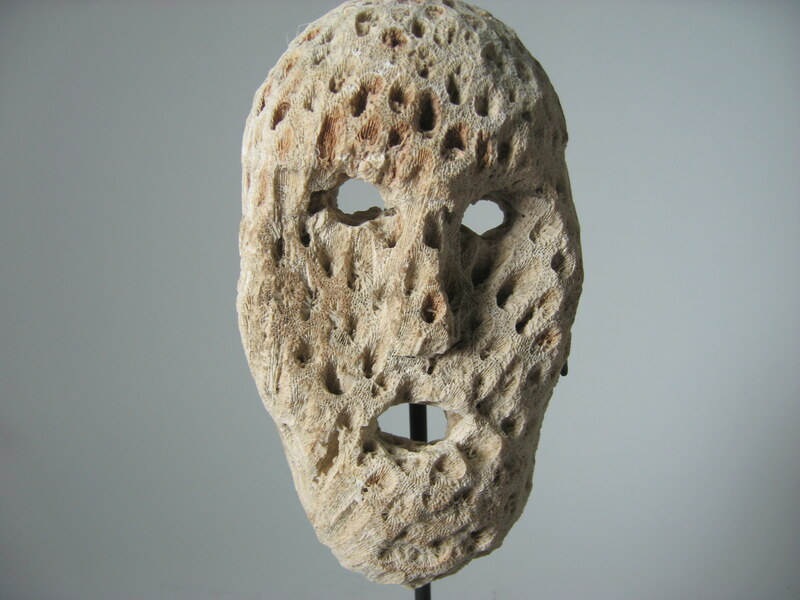 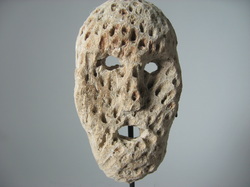 Natural land coral that has been carved into masked faces is an accent with an “edgy “side. 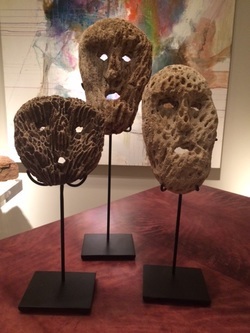 This collection is museum mounted making a stylish presentation. 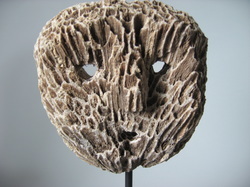 L 5" x D 4" x H 14.5-20.5"